Transparent touch screens are set to revolutionise the way we interact with everyday items over the coming years, and at CES 2013 this year Transview has been showcased, providing us with a glimpse of what we can expect from the new technology. Engadget where able to capture a demonstration of the new Transview technology in action, which can be seen after the jump, and features a 22-inch, 1,680 x 1,050 Transview screen fitted with infrared touch control. 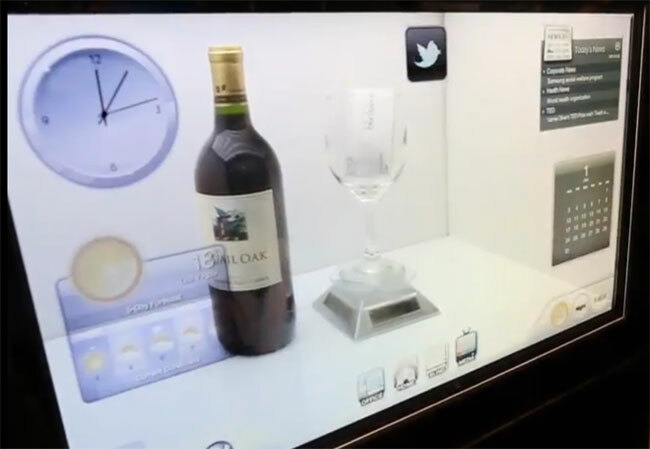 The demonstration in the video uses a Adobe Flash program running on it to create the effects, but provides a good example of how the Transview technology will perform, with a bottle of wine and glass positioned behind the screen.